Because everyone’s palate is different, it can be difficult to know how best to assemble a customized sound palette with your timpani mallets*. 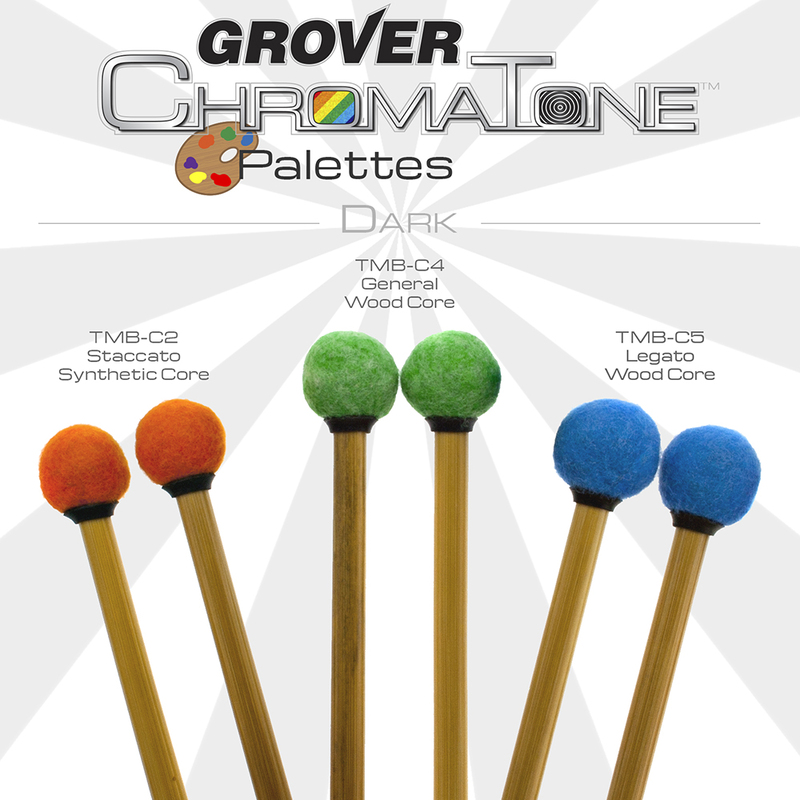 ChromaTone™ Palettes are prepackaged, specially priced sets of complimentary timpani mallets! 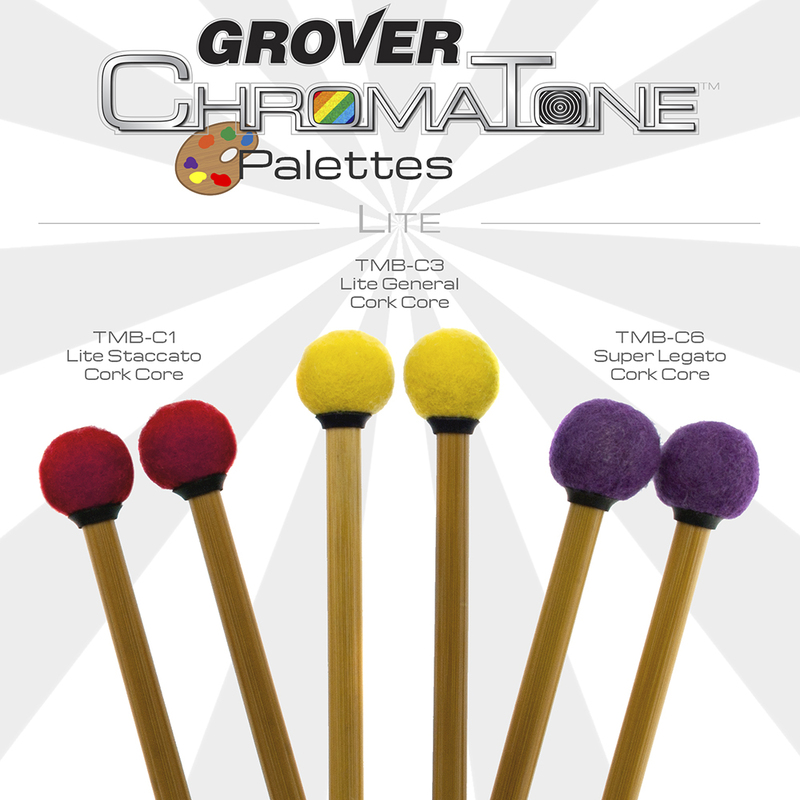 Lite Palette models feature natural cork cores and produce a light yet articulate sonority with exceptional clarity of sound. Perfect for playing “off the head” and suitable for orchestral repertoire in the Baroque, Classical and early Romantic periods. 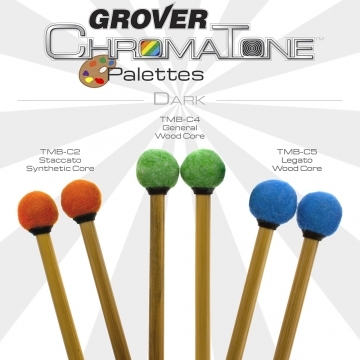 Dark Palette models feature solid wood and synthetic cores and produce warm tonalities with round focus of sound. The weight of these models draw out the deep, dark fundamental tones from the bottom of the bowl. Perfect for playing orchestral repertoire from the lush Romantic period to 21st-century classical music. *We couldn’t resist playing with the homophones!